RBC Ottawa Bluesfest - Day 5 - Spotlight Ottawa	:: Spotlight Ottawa - Your local music scene. Get out and experience it! 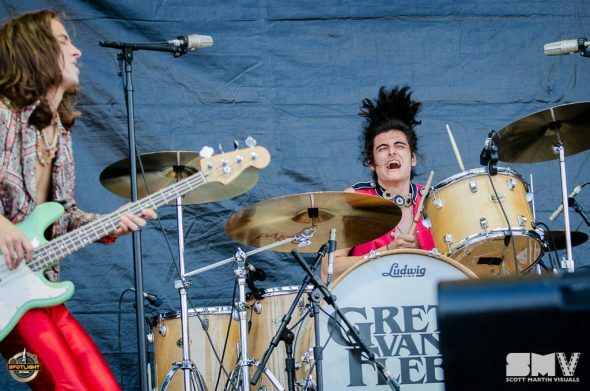 Roland Prince hit the Blacksheep Stage at 6 PM on day 4 of the RBC Ottawa Bluesfest. 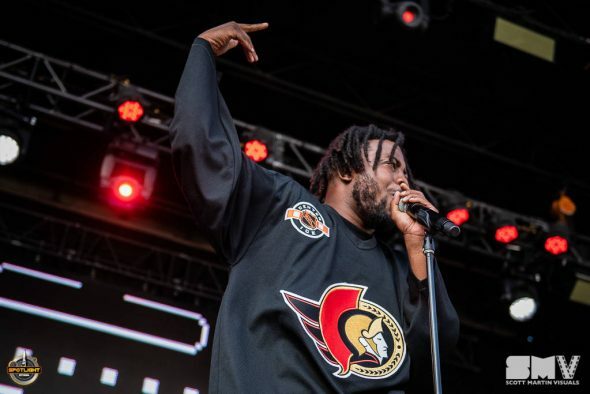 Local hip-hop and R&B artists are seldom spoken of in the Ottawa Music scene, so Spotlight figured we’d check out the Kanata born artist. We were pleasantly surprised. A self-proclaimed “proud weirdo” with a background in stage acting, poetry, and classical piano, Roland Prince aims to make a “new feeling in the production”. 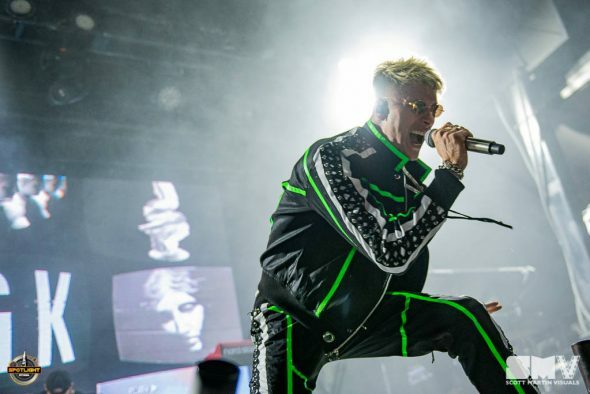 Crowd favourite Machine Gun Kelly yielded a group of devoted fans before Roland Prince took the stage, but Prince’s crowd interaction and genuine enthusiasm for the stage intrigued both the fans there early and the fans waiting for later acts. The lyricism in Prince’s tracks are amazing and despite overused refrains, the verses are intelligent without pretention and clever. The second song of the set, “Wise Men”, showed the lyricism well. 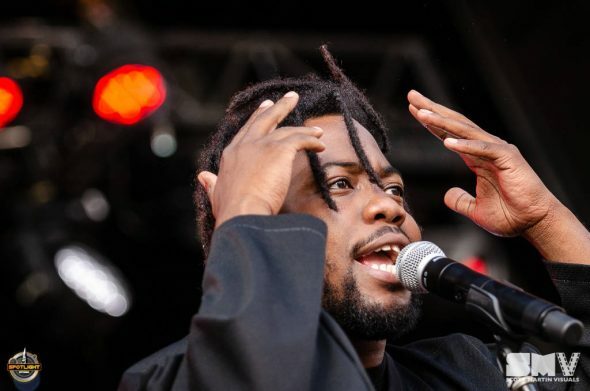 With a new album dropping on July 15th, and hip-hop fan will want to check this release out. 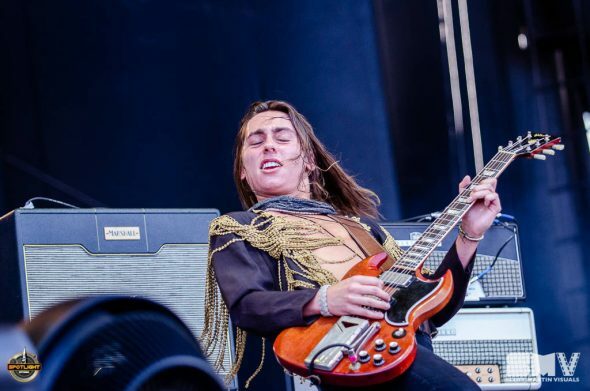 Greta Van Fleet excited a quickly filling City Stage crowd with all the classic rock music tropes you can think of multiplied by infinity. The Led Zeppelin-ly screams and lengthy solos had all classic rock fans having their fill with no lack of excess. 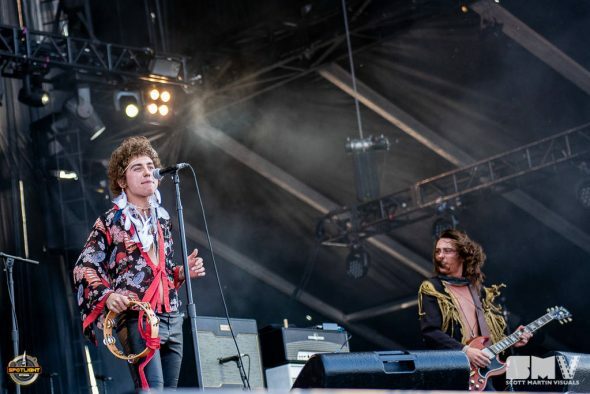 Greta Van Fleet themselves don’t believe they are a rip-off of the rock n’ roll legends, but it’s near impossible to ignore the similarity. Their outfits screamed 70’s and the throwbacks were welcomed in the current pop-dominated world of music we find ourselves in today. Foo Fighters are a huge name for festivals like the RBC Bluesfest and I can’t remember a time when that many people were present on the Bluesfest grounds. It didn’t matter how close to the stage or how far to the side, bodies were packed shoulder to shoulder throughout. 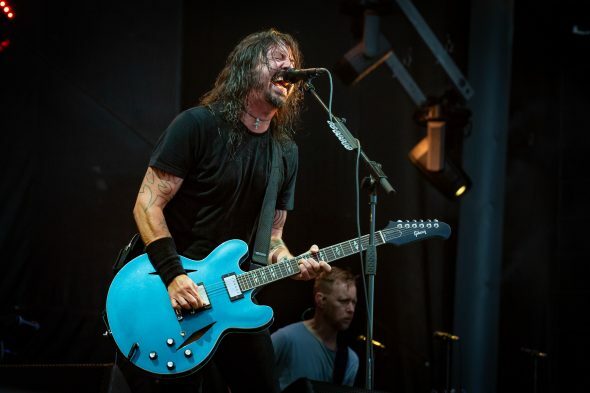 The show was scheduled for 8 PM and although the Foos made the eager crowd wait an eternity of fifteen minutes, the enthusiastic former-Nirvana man Dave Grohl made a jumping entrance with that classic teal hollow-body Gibson. Knocking off classics like Learn to Fly and The Pretender in the first three songs energized the crowd and if it didn’t, Taylor Hawking’s hydraulic-lifted-ten-minute drum solo did. 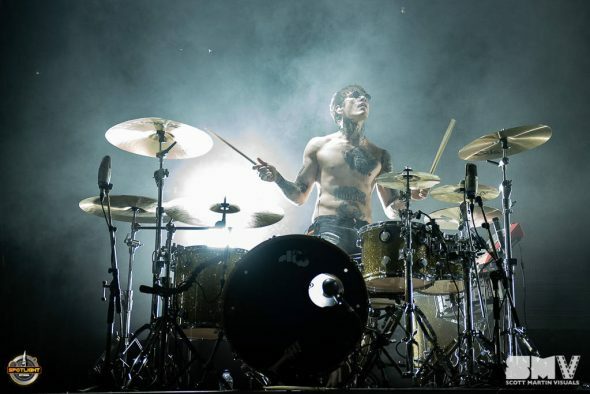 Drum solos are not foreign to the main stage but this one proved that Hawking’s is currently one of the best drummers in rock and roll. If anyone forgot it was a rock concert, fear not, because Grohl reminded the crowd roughly eight hundred times. 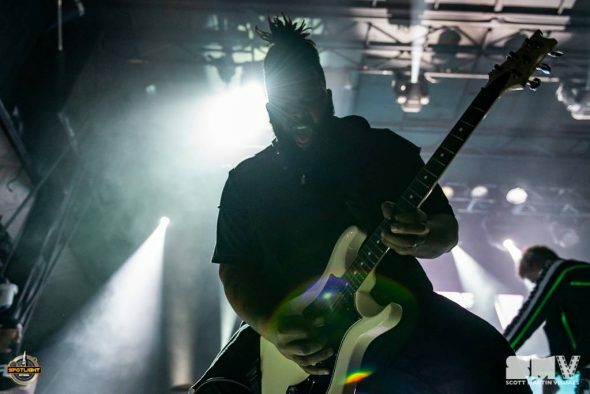 Nonetheless, this show was energetic, loud, and quite frankly – just a good show. 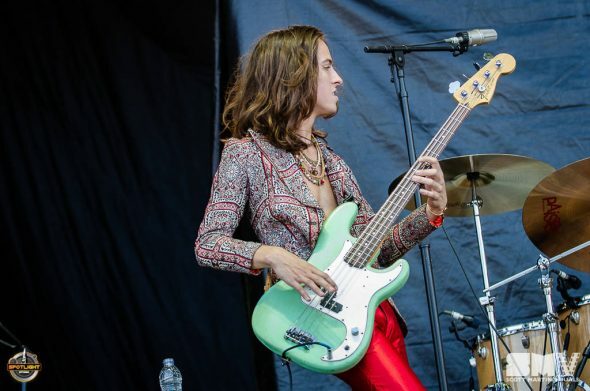 It is acts like the Foos that Bluesfest should attract more, and Ottawa showed their agreeance with a sold-out crowd.